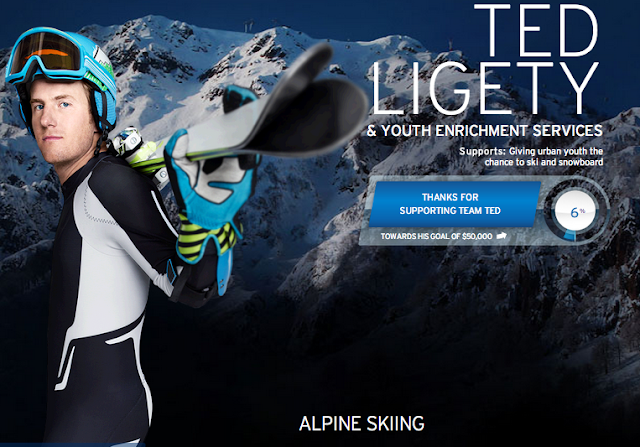 Anyways, if you click on the following link, Ted Ligety and Chase donate money to Boston's Youth Enrichment Services. It literally takes 5 seconds, IS COMPLETELY FREE, AND YOU DON'T HAVE TO PUT IN YOUR EMAIL ADDRESS. AND THE KIDS GET 5 DOLLARS FROM CHASE. There is no reason whatsoever not to do this. Looks like Spyder and Head were not super down for this plan. Okay, my conscience is clear. 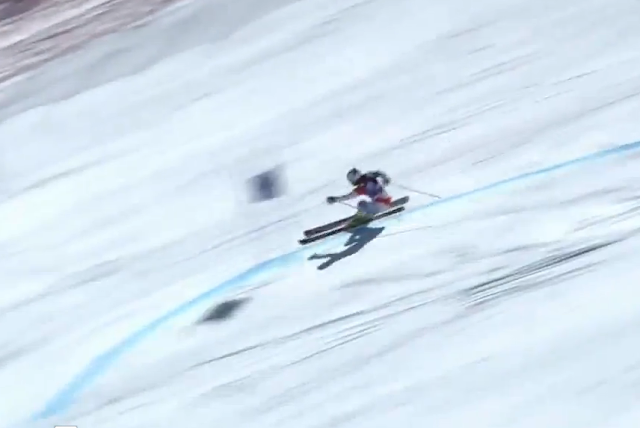 Now I'm ready to blog horrific concussions and people skiing on Marker bindings all year. 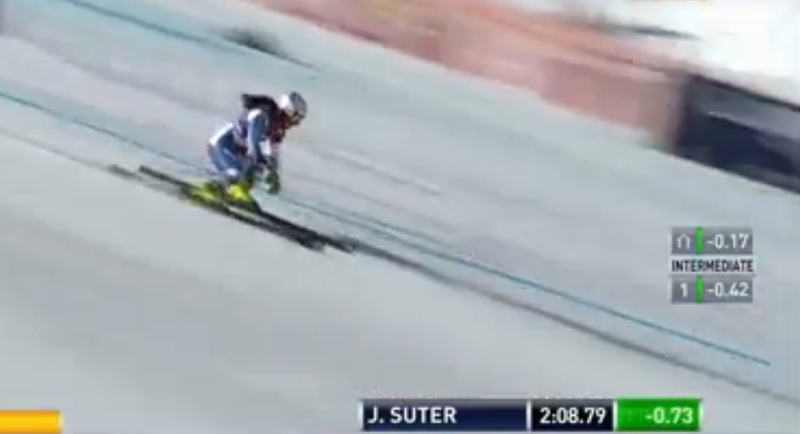 Jasmine Suter leans in, crashes, and it's utterly unremarkable. But you know what, bloggers gonna blog. So I'll do my best. Arc city mayor putting up big margins in the second run... Like Gatsby, Jasmine had the green light on her mind. 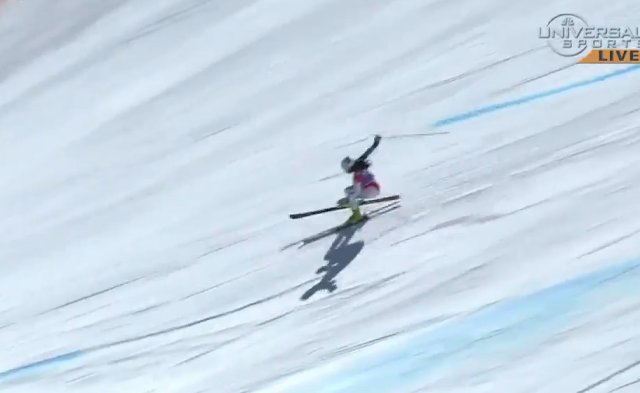 Unfortunately, the Austrian snow snake roams these slopes. Does she get it back together? Will Jasmine continue on her... magic carpet ride? Sign in with my cable provider? Sorry I don't have Bend Broadband, Bright House, Century Link, or Hawaiian Telecom. Nowhere to start but the bottom. Of the indoor ski area. It's whatever. But October means November... and November means December. Which seat should I take! theamericanmob@gmail.com with tips. I get it I get it. Homecoming on Thursday, time to let the bear out of the cage. In the words of the boys... BOOYAH BAY-BEEEEEEE!!! Feast your eyes on Olga and Helga or something like that.